Choosing Julio Jones Mazda ensures the highest level of expert care for your Mazda. Our automotive service technicians accumulate decades of experience working on all makes and models before we provide them with ongoing factory training to master Mazda’s. We want to warmly welcome our prospective and current customers to our premier Mazda service center. We are a high-volume dealership that has invested significant amounts of capital in this area to create a superior community resource. Our overall focus is on customer satisfaction and lifelong retention to ensure the deepest roots in the community and the long-term prosperity of our business. This means that we will pull out all the stops to win your trust and to develop a lasting relationship rather than risking our rapport to profit off any individual sale. We love our customers because we treat them in the manner that we would expect to be treated if we came in for service or to buy a new vehicle. We are your friends and neighbors who want you to experience the choice fruits of our labor when you come in. Our automotive service center is capable of carrying out the comprehensive car care that you need to retain the value of your investment. 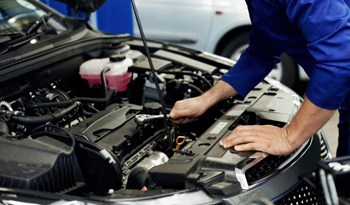 We provide A/C service, oil changes, computerized alignments, computer diagnostics, and all the electromechanical repairs that you could ever need. We have the infrastructure and tools to serve a large variety of customers and take every step to make the service as convenient as possible. Loaner vehicles and shuttle service help you go about your daily chores without worry as we take care of your dirty service needs. Our automotive service technicians take the extra steps to ensure that you don’t develop oil leaks after an oil change and that every repair is solid. Any bad experiences that induce stress from squeaky belts or drips in your driveway unnecessarily sully our reputation. 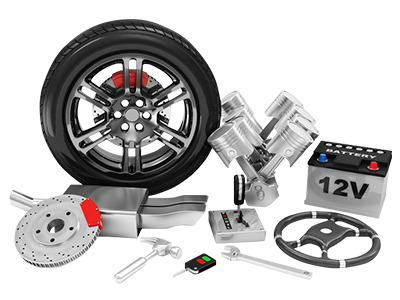 Our automotive service center only uses the highest quality of OEM (Original Equipment Manufacturer) parts to service your vehicle. This ensures that you will never have to worry about premature failures and unpredictable repair bills. The OEM parts we use are exactly the same as those used by Mazda to manufacture your vehicle in the factory. They are made by the same parts manufacturer and held to the same exceptional quality standards. They are backed by an industry standard 1-year warranty that is redeemable at any authorized Mazda dealership in the country. Our auto parts counter computer technicians match the parts by filtering our exclusive factory catalog to the narrow group of parts installed in your particular vehicle. Aftermarket parts are often made in third world countries without any of the quality-testing devices to ensure their safe operation. They reverse engineer the parts manufactured by your vehicle and may not have the full specifications reproduced. Factory quality Mazda parts are manufactured using ABS plastics, quality heat-resistant rubbers, and exacting dimensions. The pressure forged alloy steels used by Mazda ensure strength and long-term durability of all the mechanical parts in your vehicle. Aftermarket manufacturers are famous for using weak metals that easily deform and crumble under pressure by using cold forging techniques. Knock-off replica alloy wheels are famous for crumbling when they simply hit a curb even though they look just like the original parts.